Our specialist accident and injury claims solicitors have already helped people just like you make accident and injury claims across London and the South East. Our personal injury claims team, based in our offices in Bromley, can help you receive the compensation you deserve for pain, suffering and financial losses incurred as a result of an accident or a case of medical negligence. Here are just some of the cases where we have been able to help clients obtain compensation. Mr. H was a 55 year old independent brick layer engaged to do some brickwork by an individual who was project managing the build of his own house extension. In the course of the job Mr. H fell from the scaffolding sustaining crush fractures to his lumbar vertebrae which left him in permanent pain and unable to return to bricklaying. Due to the pain and enforced inactivity Mr. H also subsequently developed symptoms of depression. The home owner had engaged the scaffolders and no safety measures had been taken to prevent Mr. H from falling. We alleged that the home owner was liable under the Work at Height Regulations 2005, as the person who controlled the building site and under the rules of common law negligence. The defendant argued that as he was not in business he was not liable under the regulations. Liability was not admitted but we were nevertheless able to negotiate an out of court settlement for Mr. H for the sum of £72,000. Mrs K wins £10,000 in damages after being knocked over by faulty automatic doors. Our client, Mrs K, was a disabled pensioner. She already walked with the aid of two sticks when she was knocked over by the automatic doors of a well-known supermarket chain. The doors closed prematurely and without warning on our client as she attempted to leave the store. She fell and sustained a chipped bone in her wrist. Because of her age and pre-existing disability the injury had a far greater impact on our client’s mobility and general ability to function than it may have had on a younger person. The supermarket had a duty under the Occupier’s Liability Act 1957 to ensure Mrs H was reasonably safe while she was on the premises. To fulfil this duty they should have ensured the doors were regularly maintained and inspected. If they had done so they would have known the doors were not functioning properly. We sent a letter of claim and the supermarket admitted liability fairly early. We then negotiated an out of court settlement of £10,000. Ms. F received £7,380 in compensation after a bus crashed into the side of her car. Our client Ms F was involved in two road traffic accidents in 2008. In the first she was driving along the main highway when she approached a junction with a side road to her left. Waiting at the junction was a bus that was indicating right. As Ms F was passing the side road, the bus emerged, without warning into the main highway, smashing into the left side of our client’s car and pushing it across the road into oncoming traffic. The car was a write off. Ms F sustained whiplash injuries to her neck, back and shoulders, from which she suffered for several years after the accident. Having purchased a replacement car, Ms. F was unfortunately involved in a further minor rear end shunt a few months later. Liability for that accident was quickly admitted by the defendant and damages paid on a proportion of the claimant’s symptoms as advised by the medical expert. The bus company refused to admit liability for the first accident, alleging firstly that our client had been indicating to turn left and then that she had swerved right to overtake a car in front of her and the bus. The causes of Ms F’s symptoms were also disputed as the bus company stated that Ms F’s symptoms were due to a pre-existing back problem and to the second accident and not the first accident. The claim went to trial and we successfully argued Ms F’s position on both liability and causation. The Judge awarded our client £7,380 in compensation. Mrs. L instructed us after tripping over an unmarked kerb in a dimly lit car park of a well-known supermarket chain. The Supermarket had a duty under the Occupiers Liability Act 1957 to keep Mrs. L reasonably safe while on the premises. The lighting in the car park was dim and because the kerb was marked in certain areas and not others, Mrs. B did not see it. Being already partially sighted in one eye Mrs. L was wearing glasses. As she fell her face struck the kerb, smashing her glasses and causing lacerations just below our client’s good eye. Following several corrective surgery’s our client was left with permanent scarring and nerve damage to her face. We sent a letter of claim to the supermarket and a site visit was arranged with their insurers. Shortly afterwards liability was admitted and we negotiated with the supermarket for an out of Court settlement in the sum of £25,000. Miss T had for years suffered from several serious medical conditions. When her consultant changed her medication she went to her local pharmacy to have the prescription filled. The pharmacist gave her the wrong medication at 10 times the maximum dose. The next day when she took the medication she collapsed and was admitted to hospital, where she nearly died. Physically, she recovered quite quickly and was discharged from hospital within three weeks. Unfortunately however, she went on to develop severe psychological injury as a result of the incident. The pharmacist admitted liability but only causation in so far as the period of the hospital admission. They said that any damage beyond that was due to pre-existing conditions. The evidence of our medical expert was extremely convincing and we able to negotiate a settlement in the sum of £30,000. Mr C was in the care of the local authority. He was taking a bath when his carer left the room, after leaving him in the bath and taking out the plug allowing the bath to drain. She returned some 5 minutes later to find him collapsed in the bath. He had fallen whilst trying to get out of a cold empty bath. It was subsequently found that he had broken his hip and he needed a hip replacement. Unfortunately he never recovered from the fall which accelerated his mental deterioration and he never walked again. The Defendant local authority argued that it was not negligent to have left our client in the bath and liability was not admitted. However we found that our client had been taking a sleeping tablet for many months which was likely to have rendered him drowsy and susceptible to fall, which the Defendant should have been aware of. Liability was never admitted but we were able to negotiate a settlement of £36,000 which was approved by the court. Mrs L, an elderly lady was standing in the car park of a well know supermarket chain when an employee of the supermarket negligently knocked her over with a train of trollies. She was knocked to the ground sustaining a broken hip. Because of her age she would never make a full recovery. Liability was admitted fairly quickly and we were able to agree compensation for the sum of £58,000. 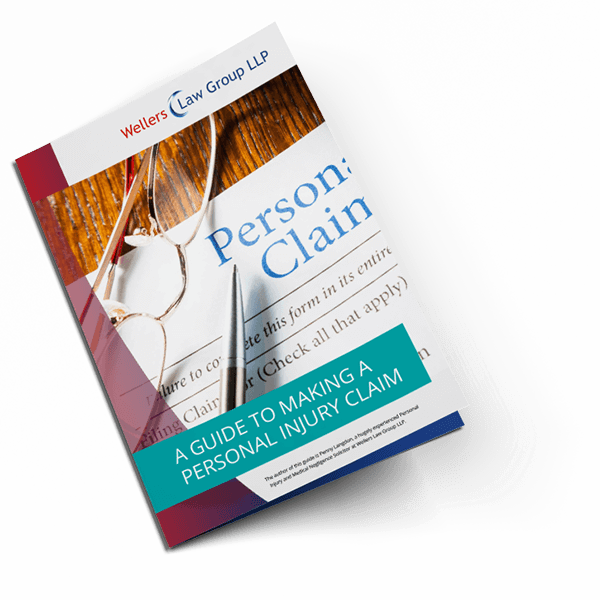 Our guide, written by Penny Langdon, a highly experienced personal injury solicitor based in Bromley, explains the process of claiming compensation. From funding your claim to how contributory negligence could affect the amount of compensation you may receive, the guide covers the details of compensation claims and even provides a checklist to help you negotiate a smooth path through the process. Please contact Penny Langdon on 020 8290 7977 or email mailto:penny.langdon@wellerslawgroup.com if you want advice on an injury, accident or medical negligence claim or complete our Personal Injury Claim Questionnaire.